← When to call a professional? My natural inclination is to live life in the fast lane. As a younger mom, that looked something like this: volunteer everywhere my kids are involved and places beyond; take on leadership roles at school and church; have kids signed up for multiple activities at a time requiring carpools and lots of coordination; fit in a few exercise sessions a week, do a Bible study, squeeze in errands, throw something to eat on the table and fall into bed exhausted every night. When raising our sons, I lived this pace of life and mostly felt comfortable there. There were exceptions, but overall I believed I was juggling a lot without dropping too many balls. Looking back, balls were getting dropped, but I just wasn’t aware of those balls. I used a high paced activity level to cope with my own anxiety and to wall out looming issues that were softly calling out for my attention. Busyness was a great defense against dealing with a deeper call to life and an effective white noise to shut out the whisperings of God. All the activity that I thrived on numbed my own feelings – it was like a drug. Things like tending to the emotional side of life and taking time for true and deep relationship with God and my family suffered. Graciously, it is never too late with God and it is not too late with our sons – a lot of that tending is still in progress. But I did miss out on many of the day to day opportunities with them. So in this season of life and parenting, the goal is to live life in a starkly different place. Paying attention to the emotional side of life really isn’t an option – well, certainly not one that I want to choose. Part of that may be related to the femaleness of the current children in my daily care – though truthfully, boys need emotional care, maybe even more so given our gender stereotypes and pressures. Another contributor to this parenting shift is that many children who have lived through some type of trauma require a slower pace of life to get onto a healing path. Seems to me that on some level, we all know that something a lot slower than the average American family schedule is a healthier place to live. Even though I know this is best and a much better place for me and my family, I still at times feel envy when I hear the pace and schedules of other families. There is something seductive about living on the hamster wheel. I don’t surrender very easily. My passion and desire is too often for the fast lane. In our family, there is a clear pattern – November 1 through December 31 and the month of “May plus” are very difficult times for us to navigate. The temptations to over schedule lurk around every corner and even get delivered in the mail. To maintain any semblance of calm and sanity, we have to put up healthy boundaries and say “no” a lot. Those lines of health look different for each family – for ours, it feels kind of like we are in the healthiest lane if we stroll down the sidewalk while the rest of the world whizzes right by in a sports car. Coming out of a May when we really “missed the slow boat”, it is a good time to stop, be mindful and learn from our mistakes. When I really think and reflect on this, the slower paced life has been where much of my growth has happened. I started writing, breathing, listening more, knowing true peace and noticing the beauty and joy all around. The addiction to busyness had blurred my sight. It still whispers to me to come and follow and join in. But like all addictions, I know that ultimately it will lead to destruction. So, once again, I vow to submit to the painstaking surrender toward a slower paced life. Posted on June 17, 2012, in Uncategorized and tagged adoption parenting, Christian adoption parenting, parenting, slower pace of life. Bookmark the permalink. 6 Comments. You are so right about this! Very wise insights. Thank you for sharing. Our boys were never over scheduled but even with just the sports I would get overwhelmed. Once in awhile I questioned myself about the freedom I mandated for their summers but am so thankful they had that. I am such a better person when life is slow. Beverly, it is like swimming upstream and not natural for me, but I’m trying….thanks for all the comments. Keeps me going! Emily sent me over here after I blogged about the difficulties of handling the holiday season with our two boys with trauma backgrounds. I actually have never liked life in the fast lane, but now I look at envy at other “normal” families who get to do “normal” holiday activities and take beautiful photos and have quality time with extended family. 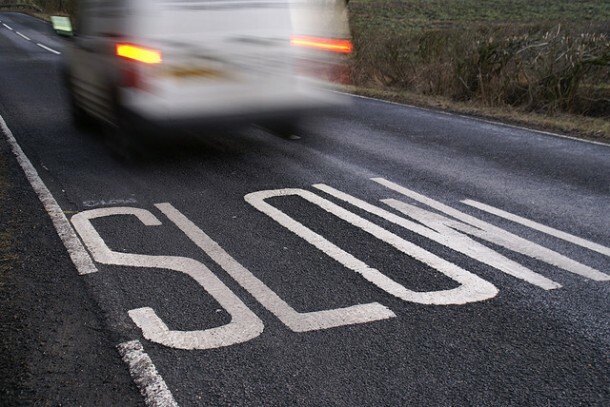 This is a good reminder that it IS necessary to slow down for the sake of the children. Thanks for writing!